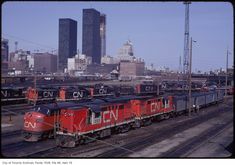 CP 7013 switching CN 6786 with its train at CPR's Palais Station in Quebec City where CN was a tenant. 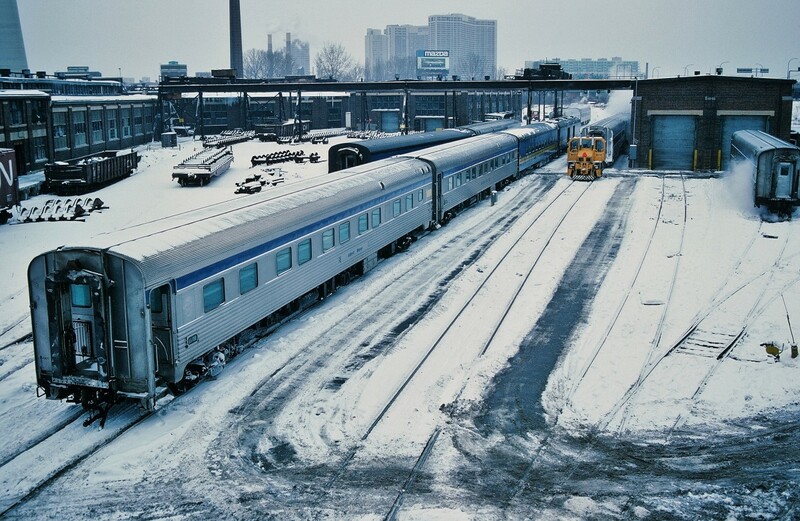 This is likely a Rapido train from Montreal. 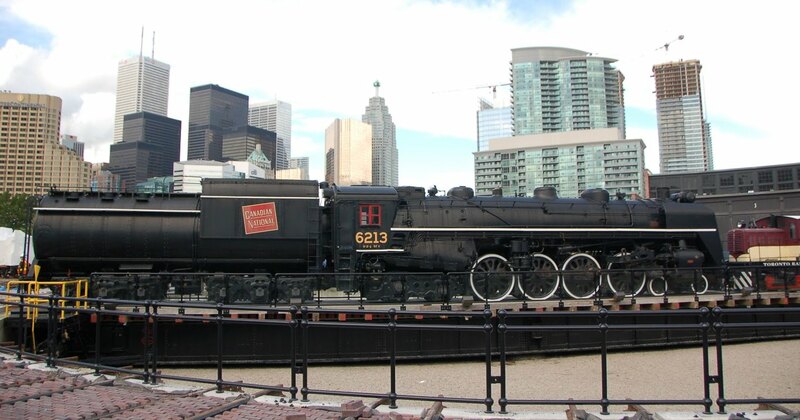 Canadian National #6131 hauling a freight train west out of Toronto. 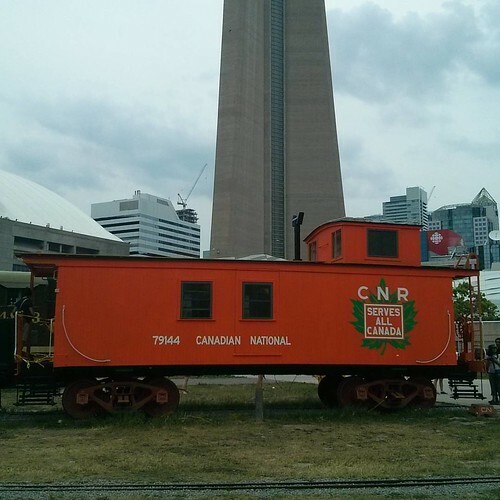 Courtesy of the Toronto Public Library. 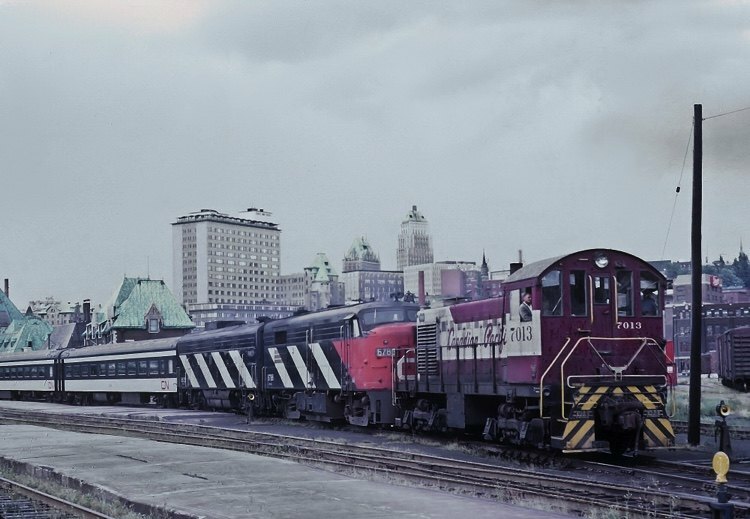 The Canadian National Railway's Super Continental departs Toronto's Union Station in 1970 on a westbound service to Vancouver. 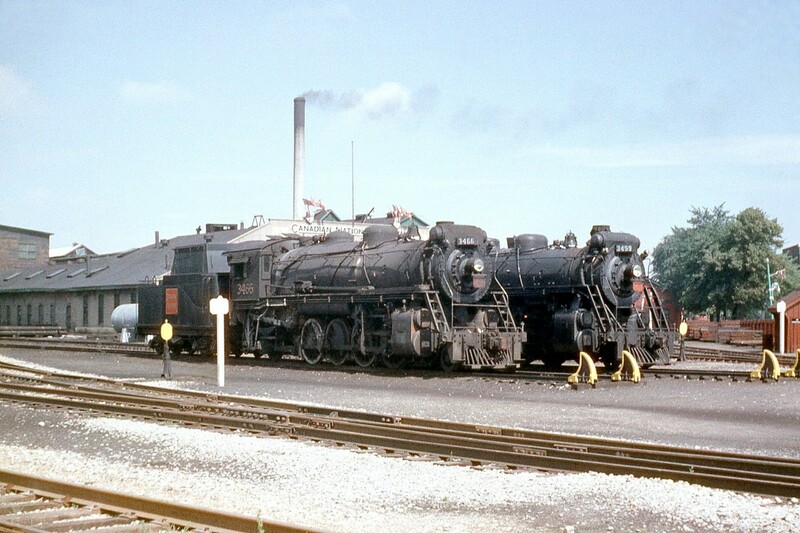 Canadian National 2-8-0's #2447 and #2631 in the yards adjacent to the Spadina roundhouse. 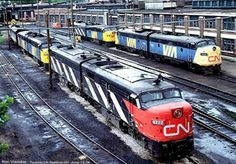 Courtesy of Chuckman's Nostalgia. 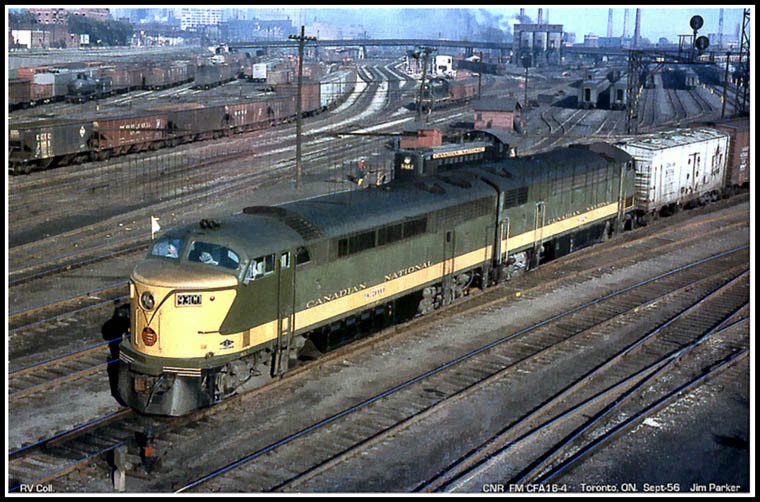 Canadian National #2764 at Edmonton, Alberta on October 14, 1957. 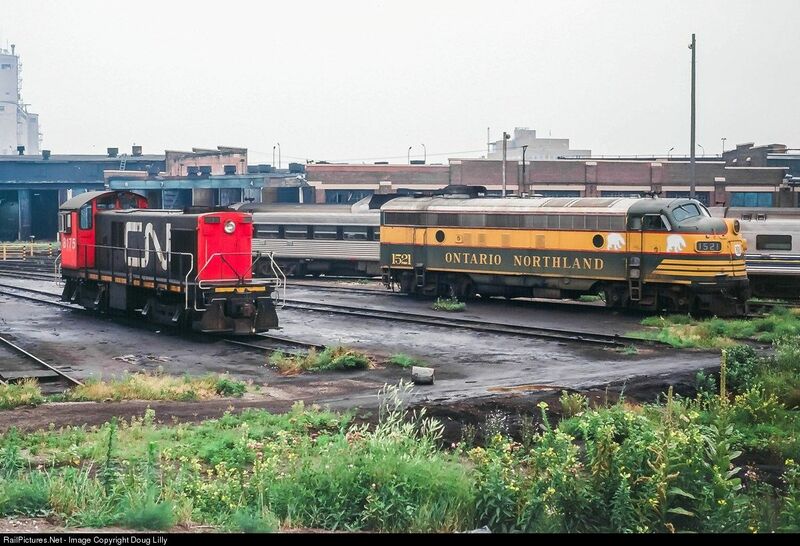 Photo by Paterson, courtesy of Adam Peltenburg. 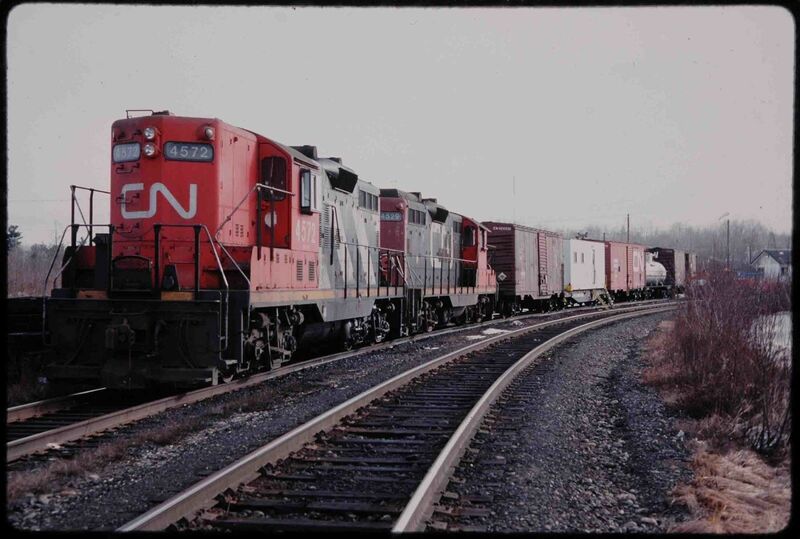 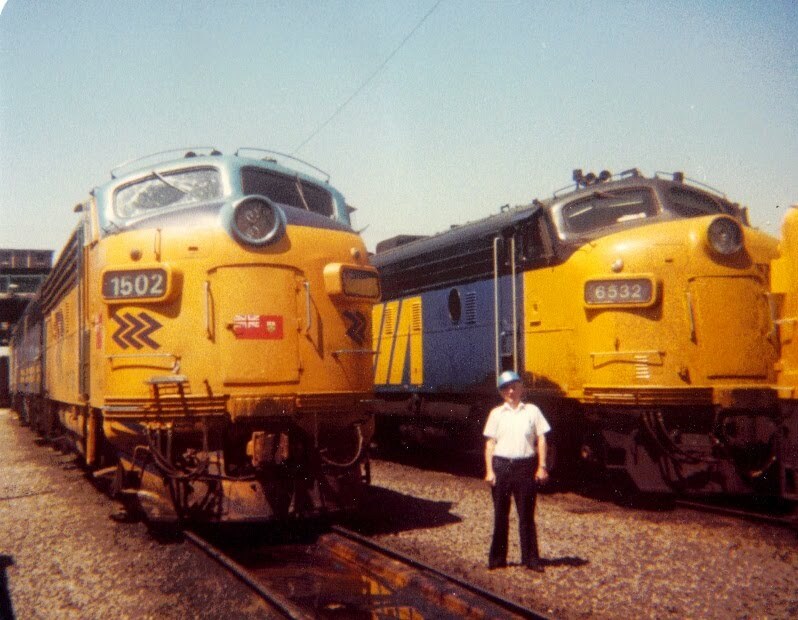 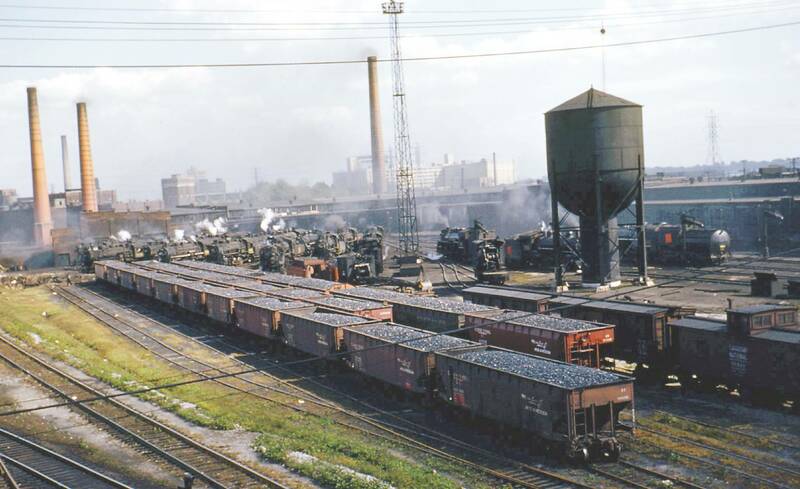 An array of CN and VIA MLW and GMD A and B units, RS, SW and RDC's. 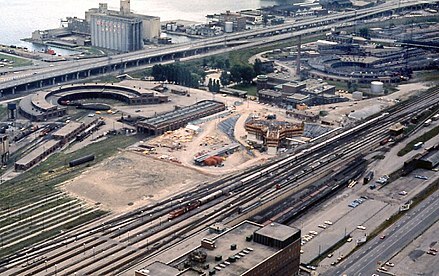 July 23, 1977. 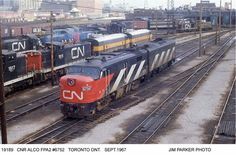 CN 6401 rides the turntable outside the CN roundhouse at Spadina yard in Toronto Ontario on a wet day in the late 1960's early 1970's. 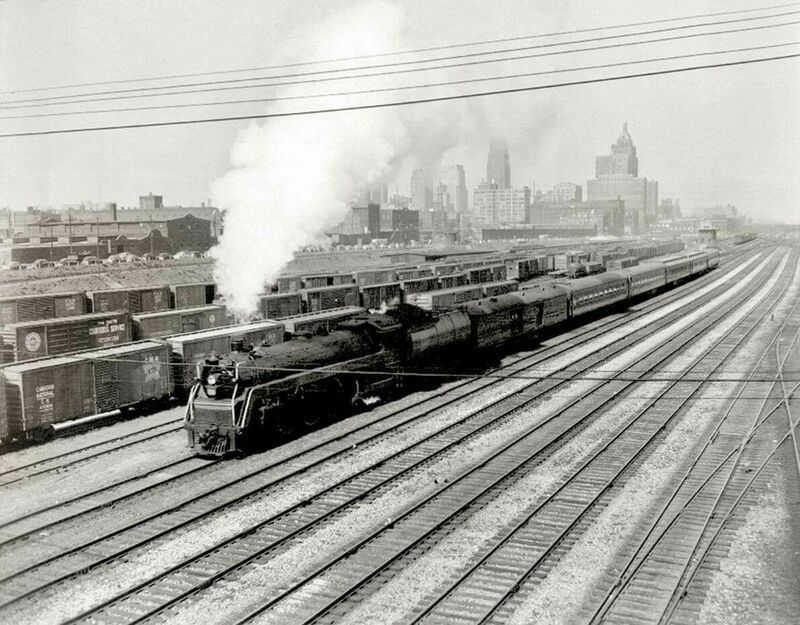 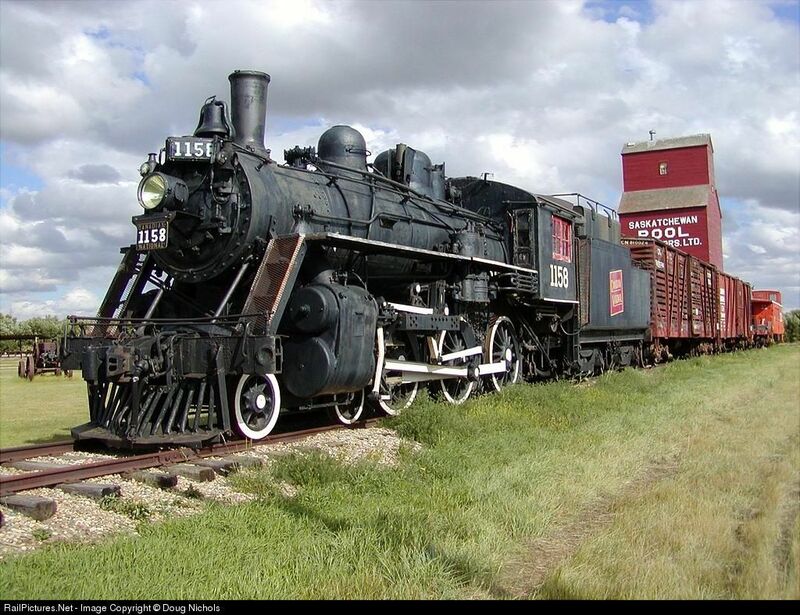 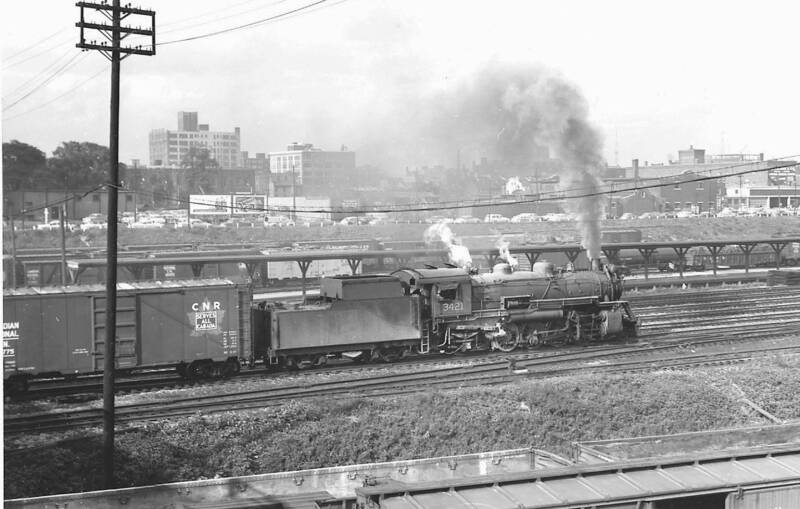 Canadian Pacific #3407 coupled with a caboose during the 1930's. 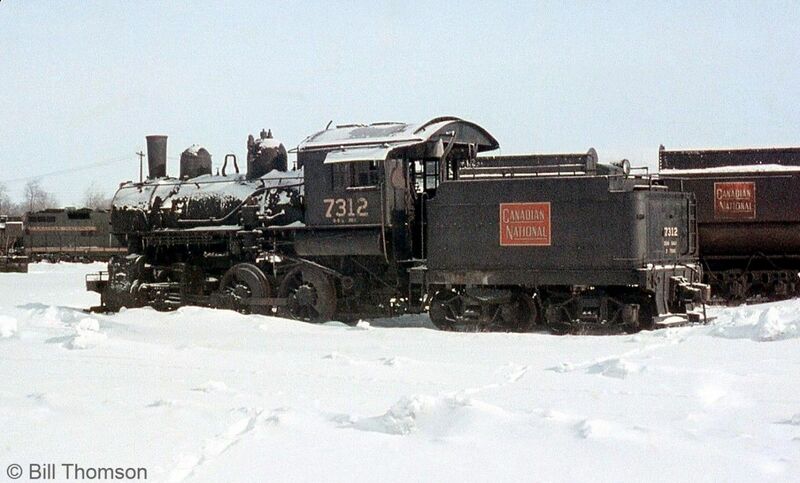 Photo by Walter E. Frost. 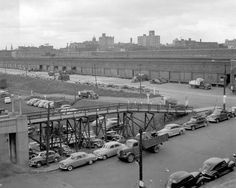 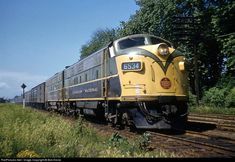 1952: Westbound C.N.R. 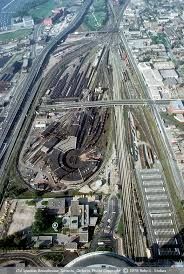 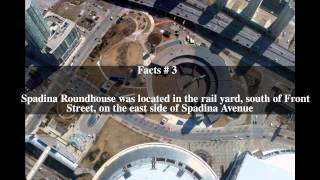 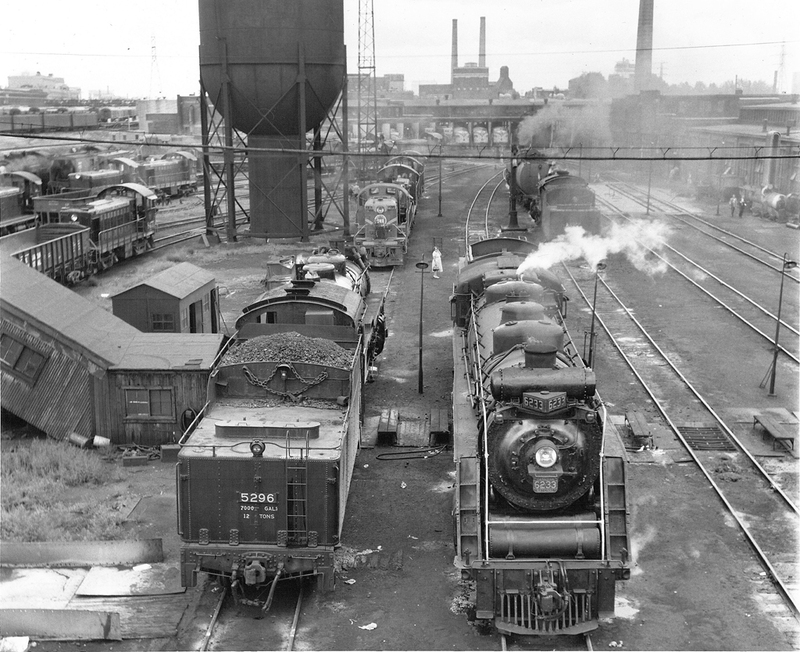 train in Toronto railway yards. 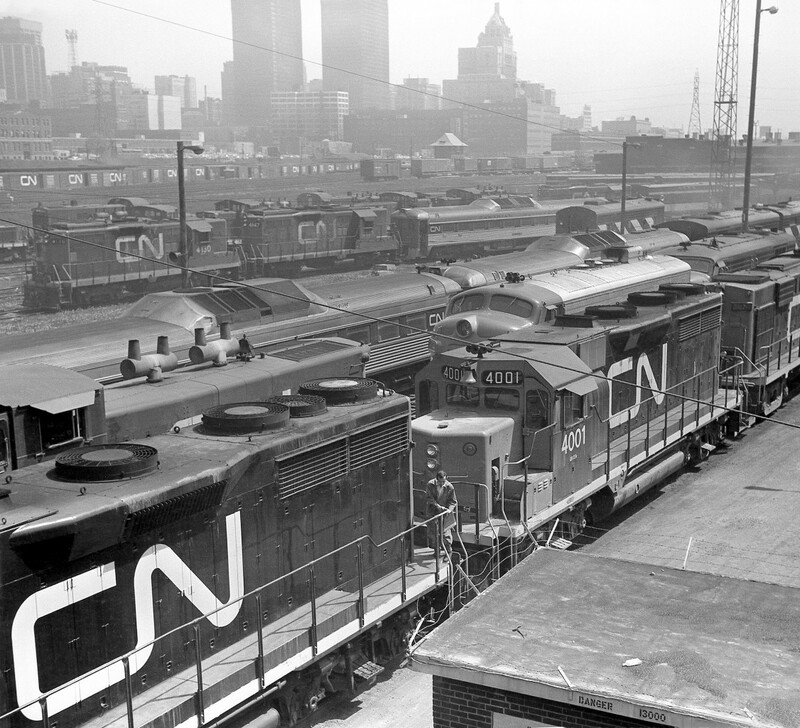 Photo taken from the Spadina Ave. bridge, looking east to downtown business area skyline. 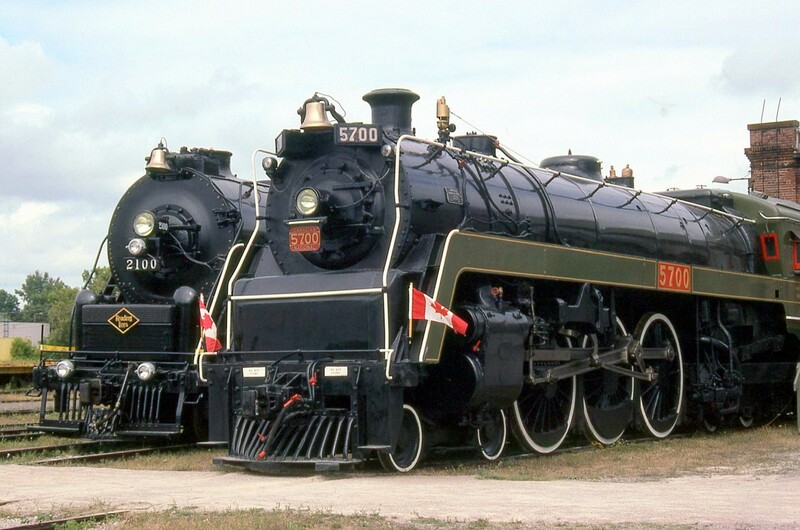 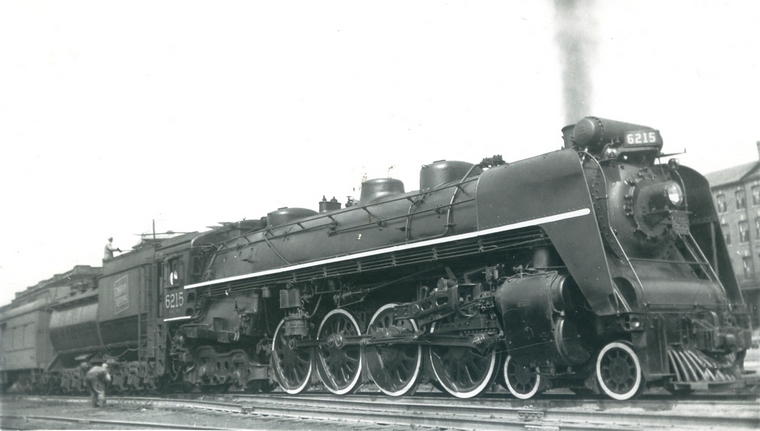 Canadian National Railways #6028 in 1939 complete with smoke shields and prepared to haul the royal family on their tour of Canada. 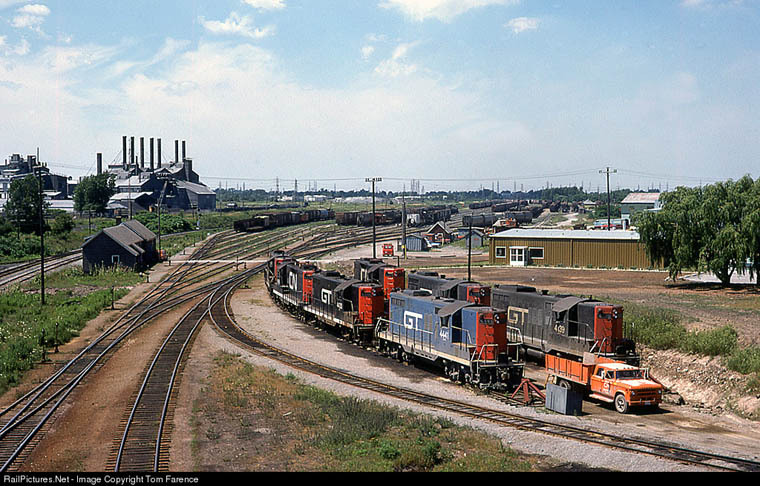 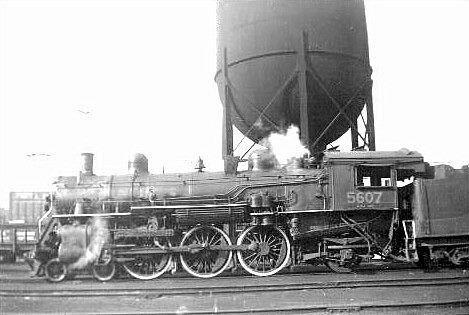 Canadian National #6060 at an unknown location on an unknown date. 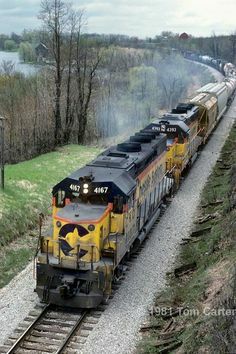 Taken by an unknown photographer, courtesy of Adam Peltenburg. 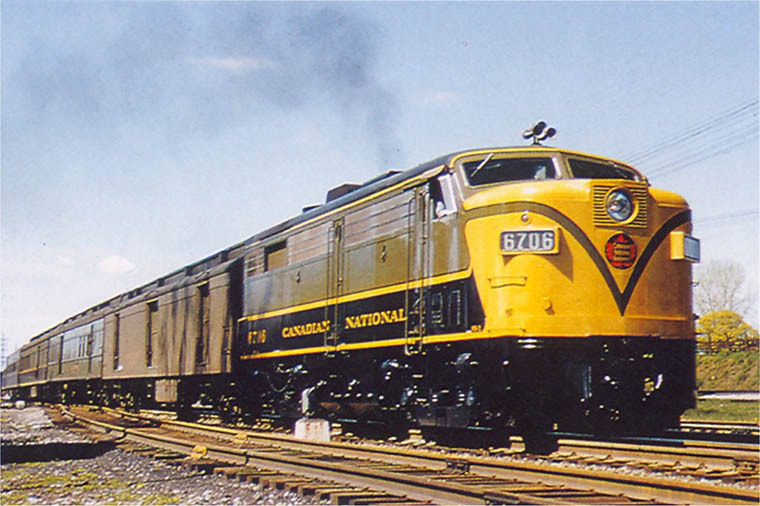 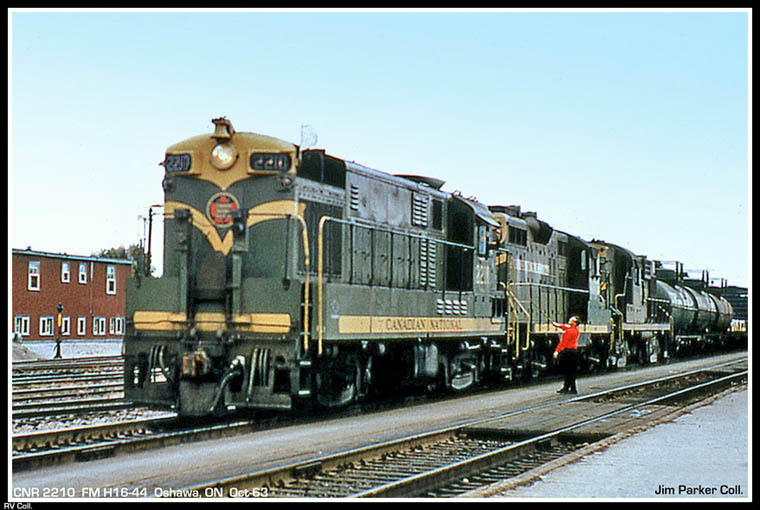 Canadian National #6027 pulling the International Limited at the old Grand Trunk station in Belleville, Ontario. 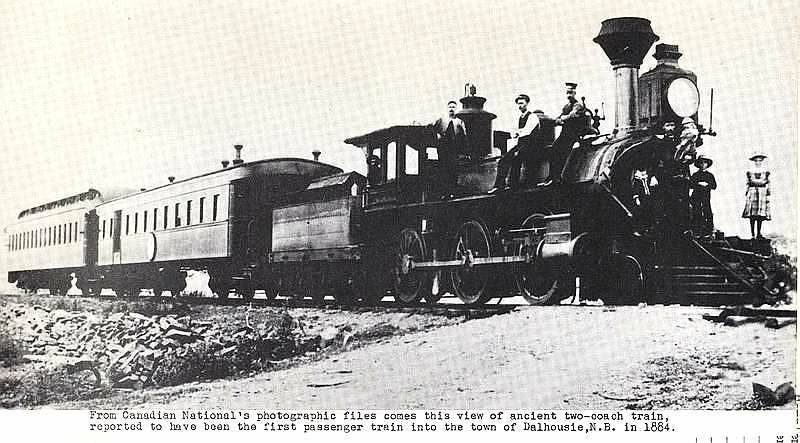 Courtesy of Library and Archives Canada. 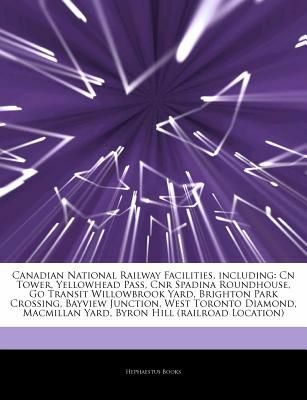 Find this Pin and more on Canadian national rr. 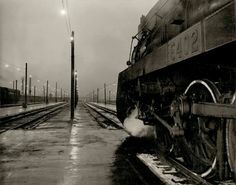 by ken. 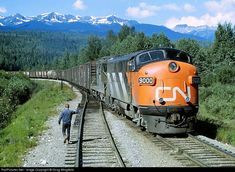 Canadian National #2765 at Jasper, Alberta on July 11, 1953. 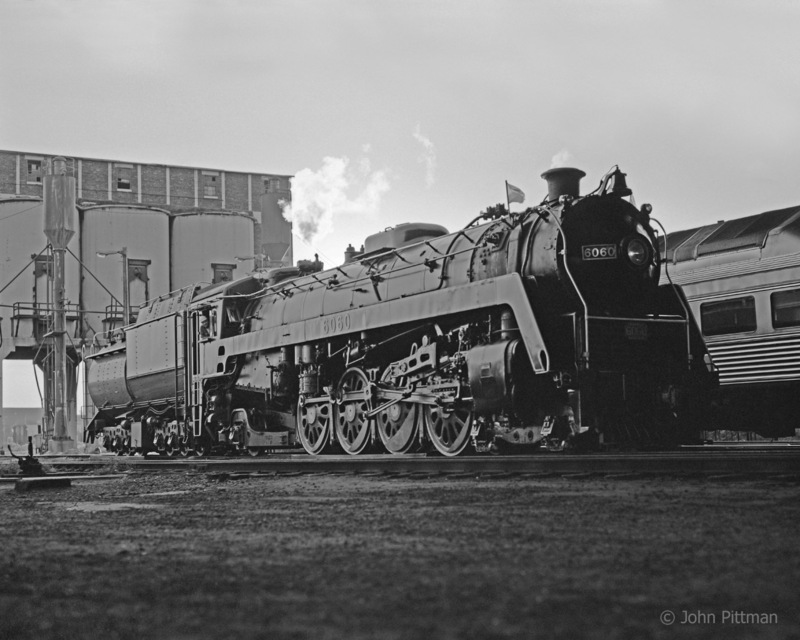 Photo by James A. 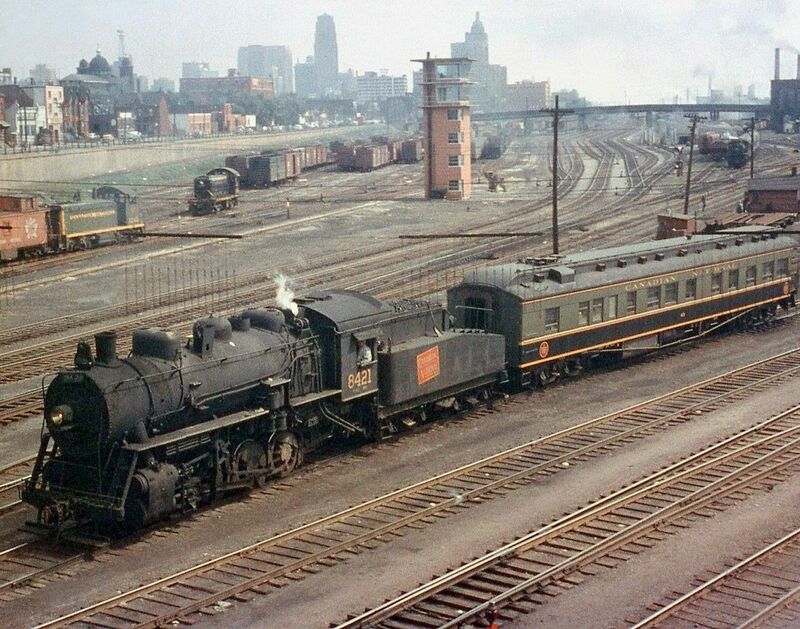 Brown, courtesy of Adam Peltenburg. 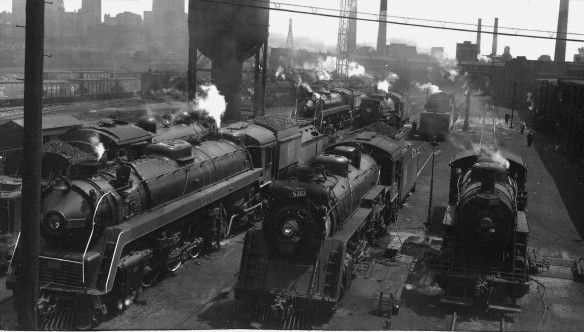 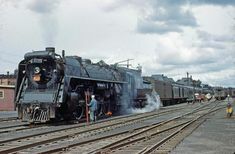 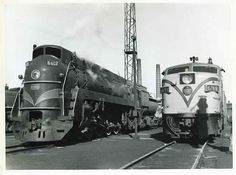 Canadian National 4-8-4 steam locomotive and train at Moncton NB 1949. 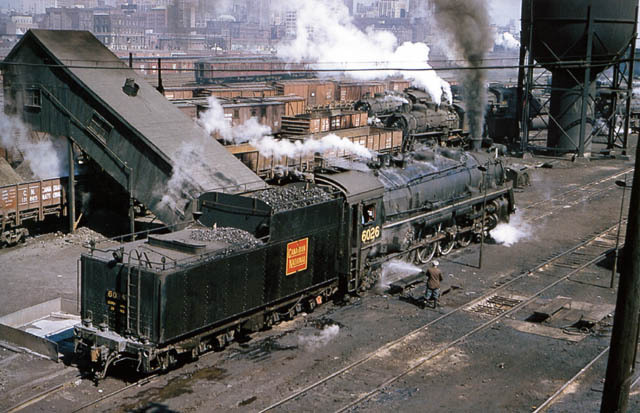 John McIntosh Kodachrome. 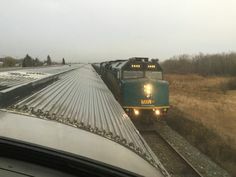 6111 eastbound on the CNR High Line used by freight trains to bypass the Toronto Terminal Railway. 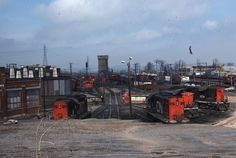 Track in the foreground is CPR coach yard loop. 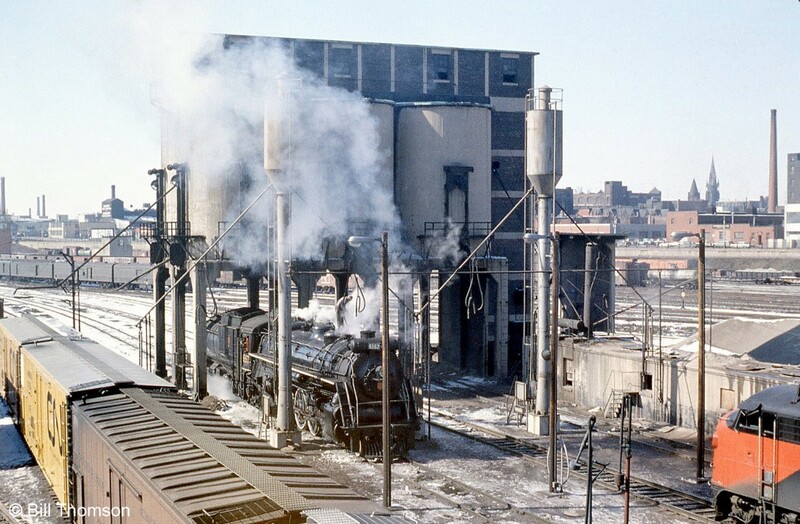 CANADIAN NATIONAL RAILWAYS SHOP SCENE TURNTABLE ROUNDHOUSE #'S 1774-1783-1800-3696 AT HALIFAX NOVA SCOTIA MARCH 28, 1976. 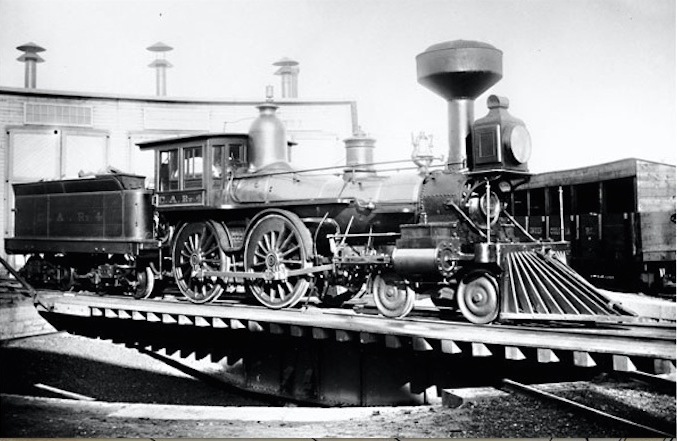 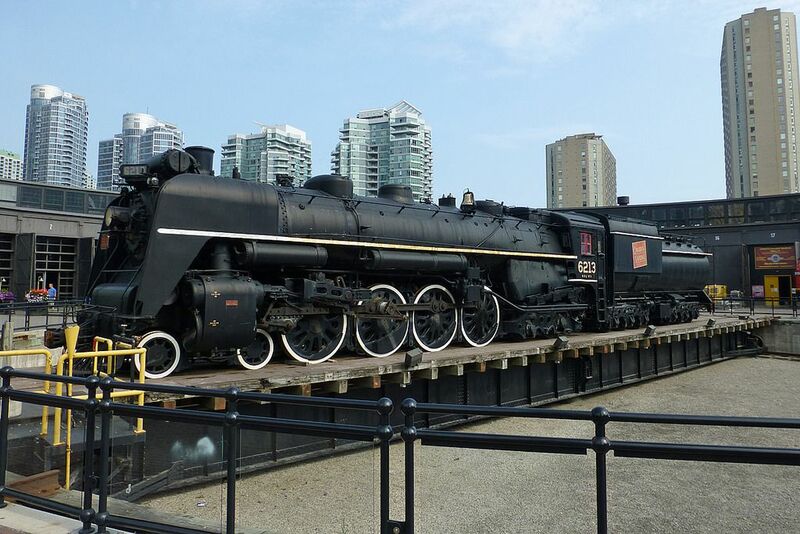 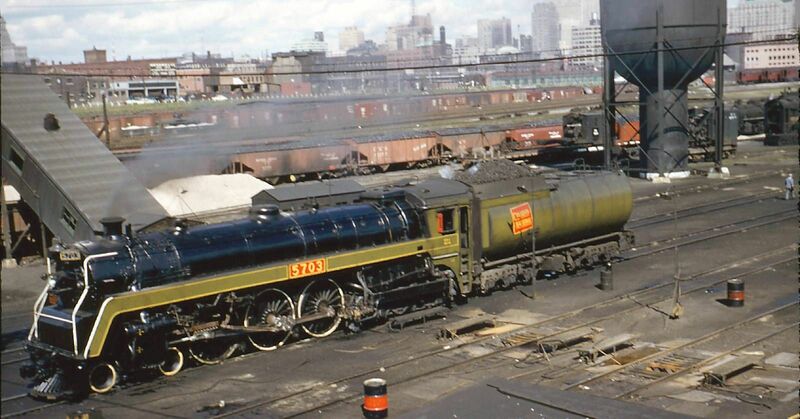 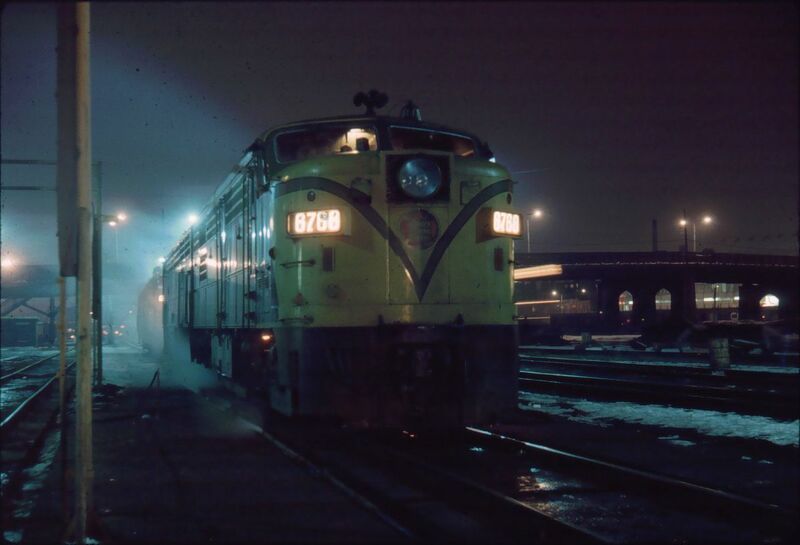 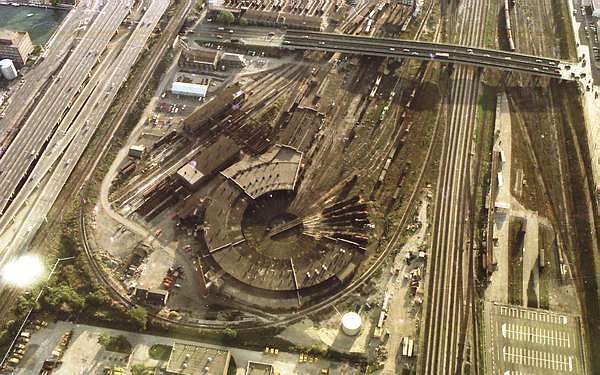 Canadian National #6188 at Toronto's Spadina Roundhouse on an unknown date. 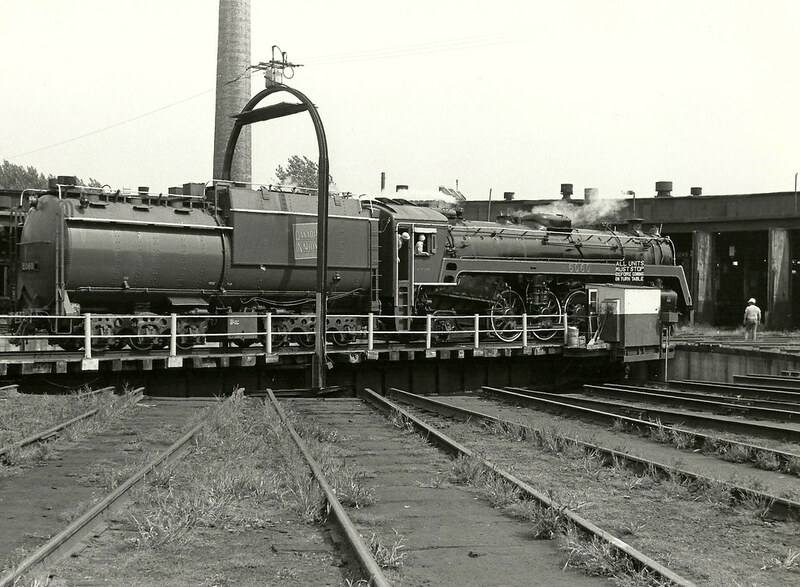 The water tower can be seen on the other side of the locomotive. 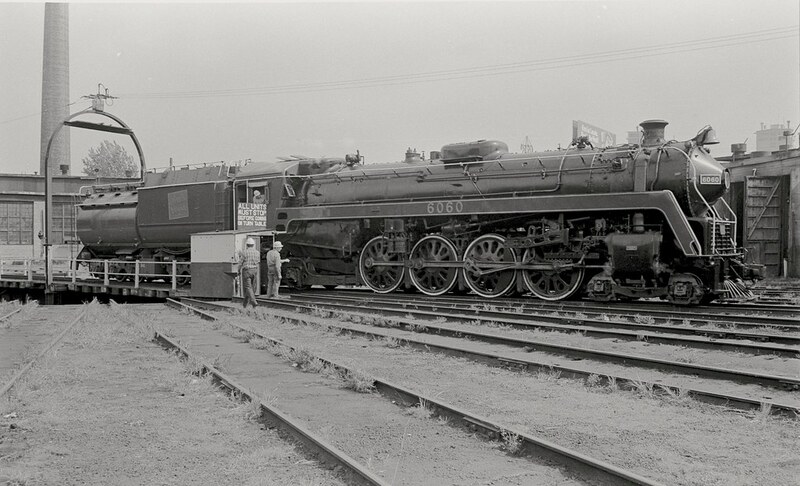 Canadian National #6158 at Port Credit, Ontario on July 1, 1955. 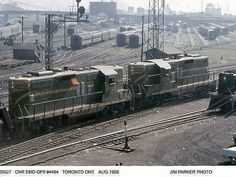 Courtesy of the Toronto Public Library. 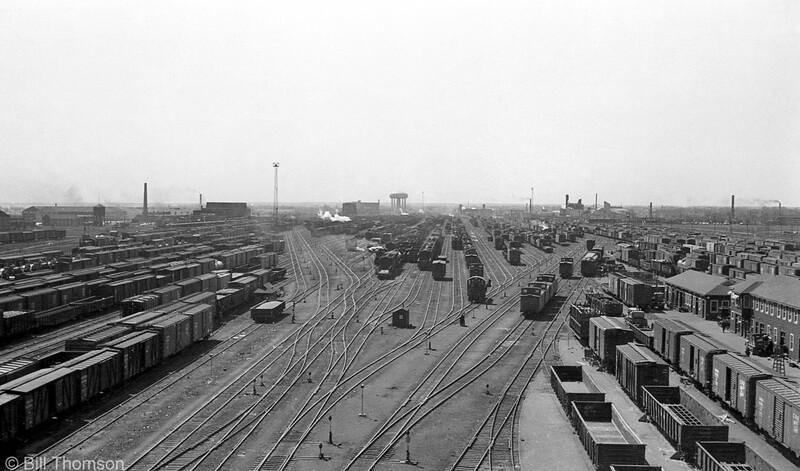 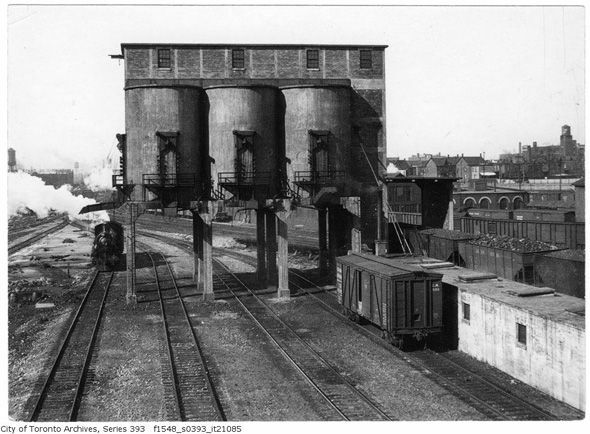 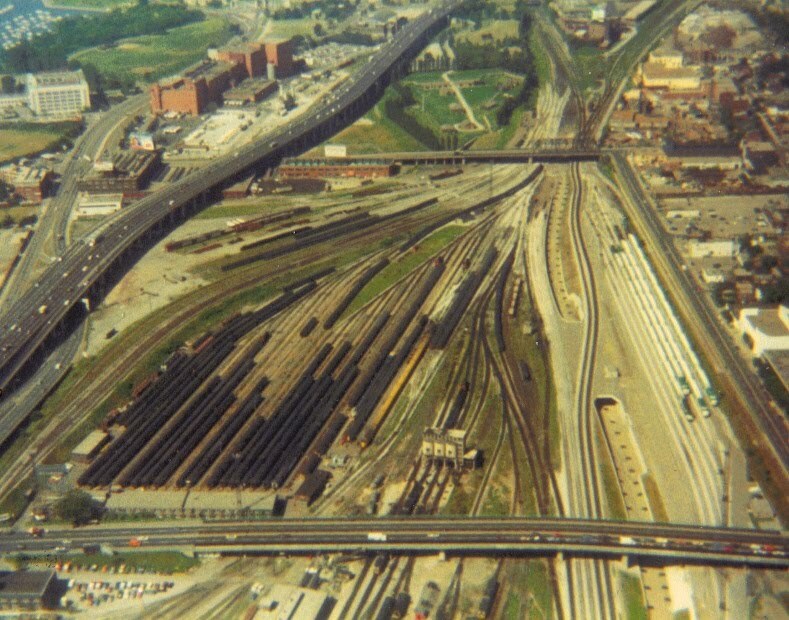 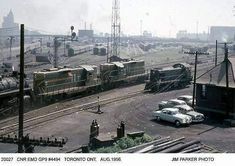 at left and Spadina Coach Yard at right. 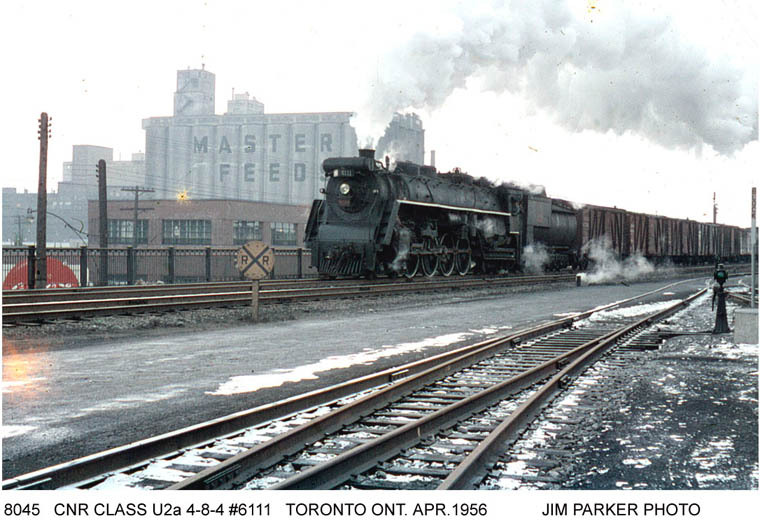 Coal tower in background and beyond Spadina Avenue bridge is Spadina roundhouse in all its smokey glory! 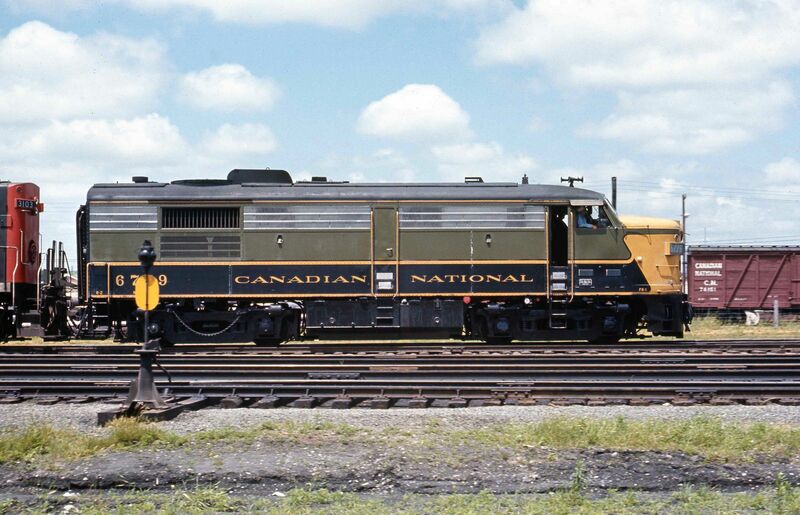 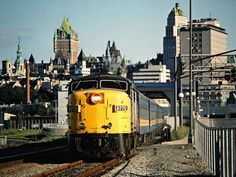 Canadian National Turbo Train at Ottawa, ON.Taken 07/20/1975. 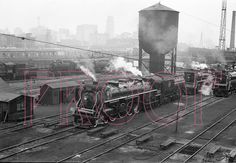 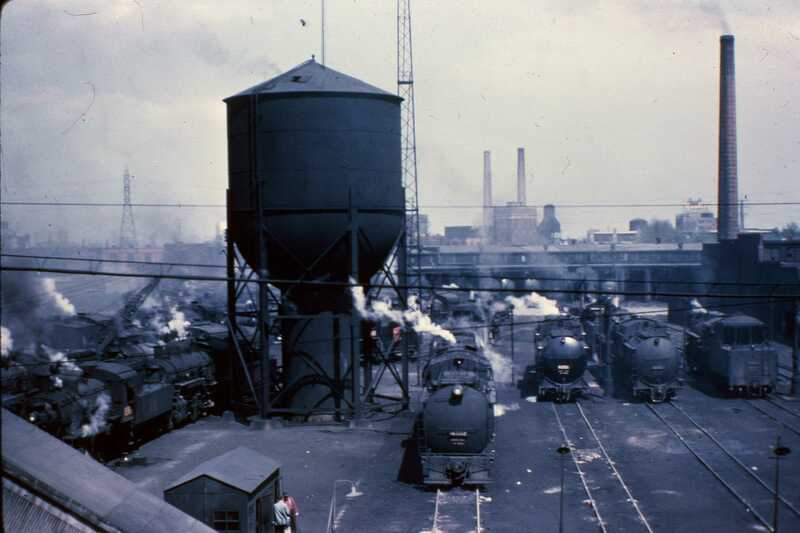 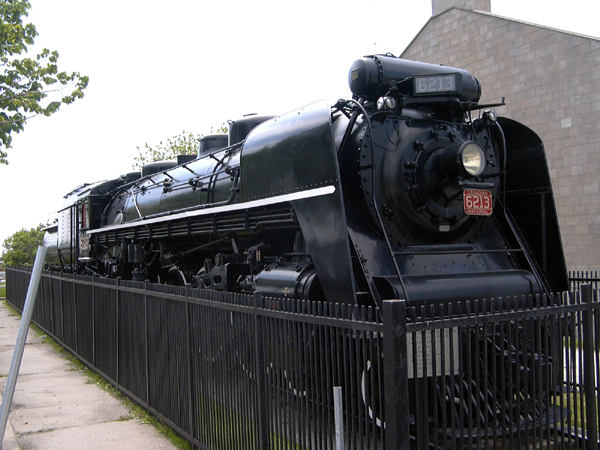 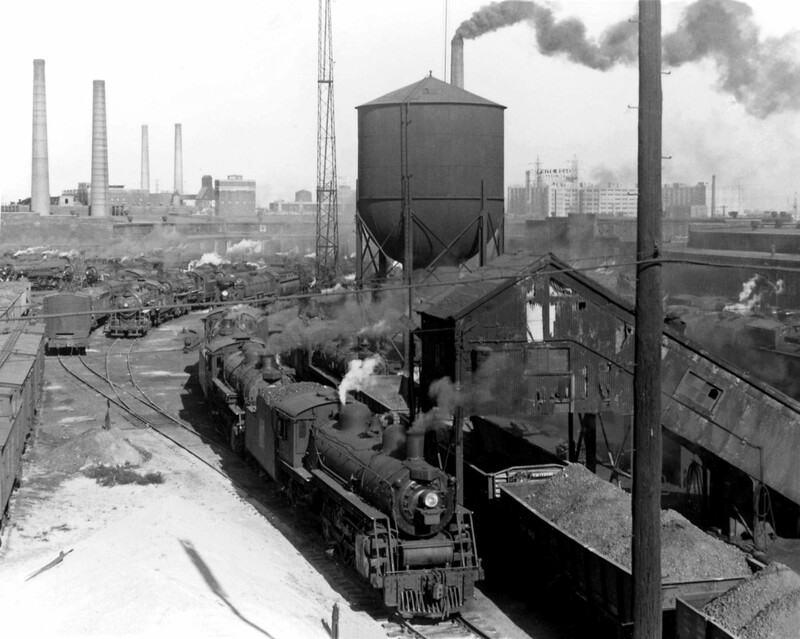 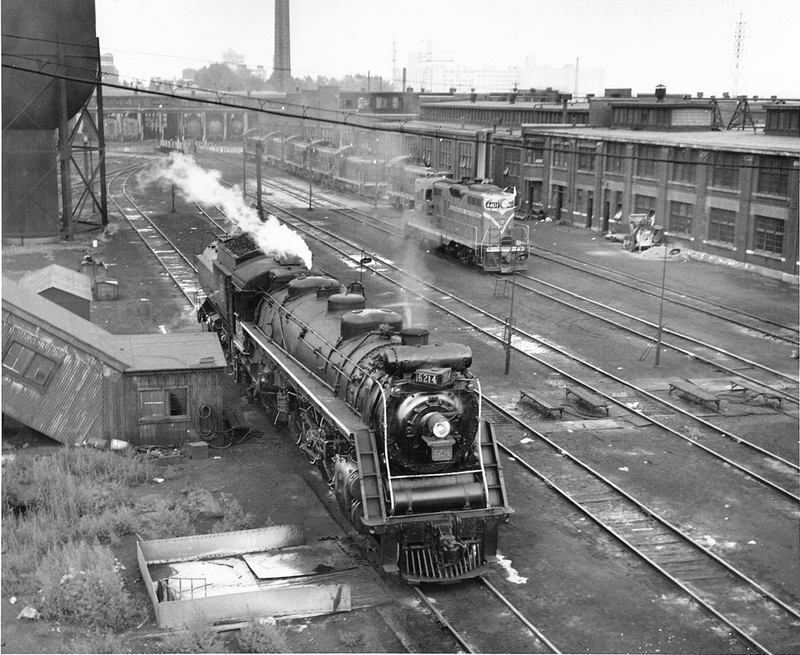 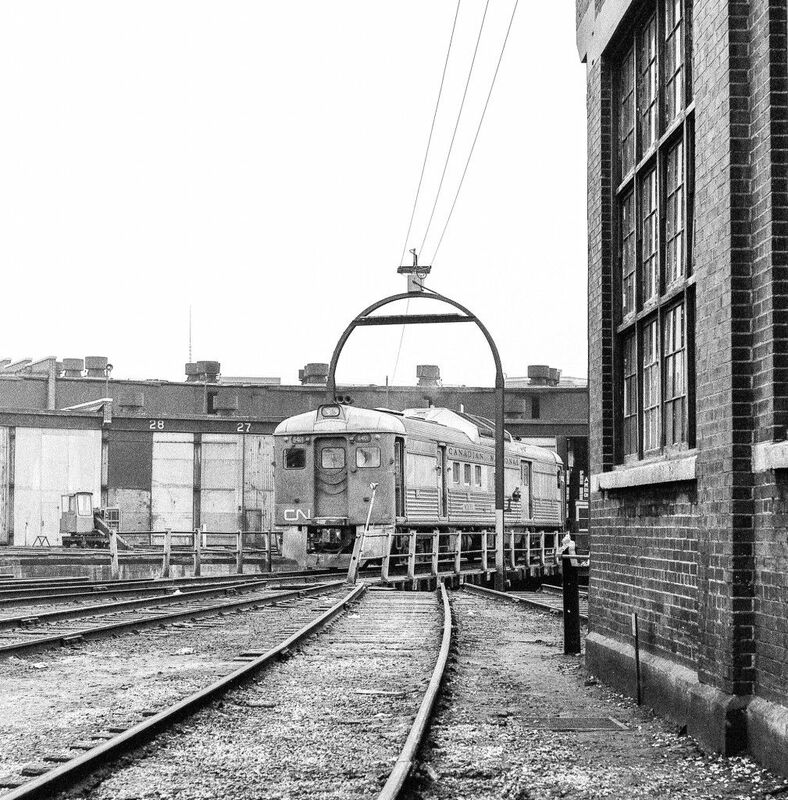 Grand Trunk Western #6334 at the Mimico roundhouse in 1956. 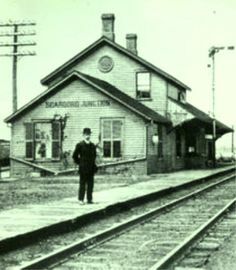 A police officer appears to be observing the train rotating on the turntable.